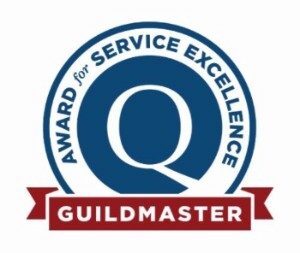 Milton, FL, February 3, 2017– Majors Home Improvement of Milton, FL received a 2017 Guildmaster Award from GuildQuality for demonstrating exceptional customer service within the residential construction industry. Out of 600+ eligible applicants, Majors Home Improvement is one of 300+ businesses within the residential construction industry recognized by GuildQuality for consistently delivering superior customer care. Majors Home Improvement achieved a recommendation rate of 90% or above from their customers surveyed by GuildQuality. “It’s an honor to be recognized for the Guildmaster Award. In our 20th year, we owe our business growth to repeat customers and referrals from happy clients throughout the Gulfcoast,” states Michael Majors, President of Majors Home Improvement.